Today we tried out some combat patrol lists for a bigger game next sunday. I used my chaos marines against Ron's Orks and Necrons. 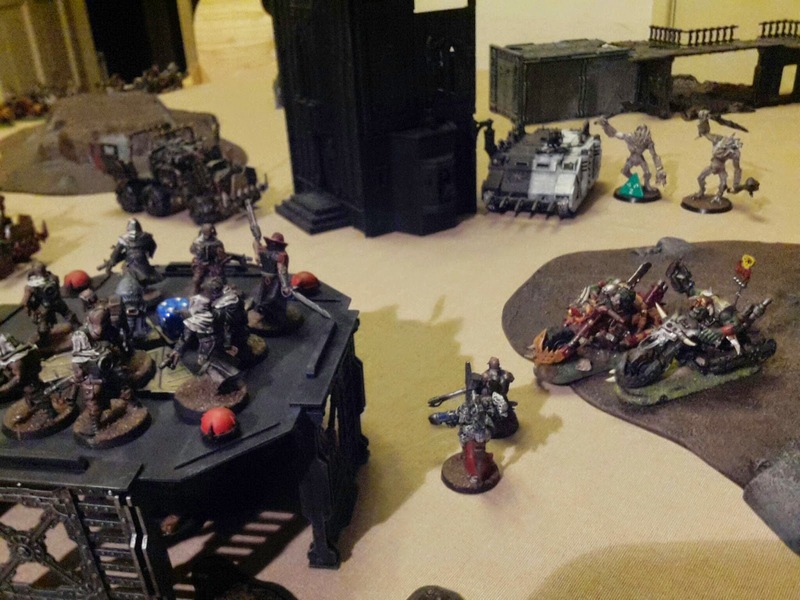 The first game against Rons Orks was quite tense, mainly because my chaos sorcerer managed to cast invisibility on himself and his unit virtually every turn. Because of that power they survived the onslaught of both a unit of truck boyz and a unit of nobz. I was to carefull with my spawn, who spent most of the game babysitting some far off objective. The two units of cultists I took worked reasonably as distraction, but caused virtually no damage. With the luck of the dice on my side I managed to win the first game. The second game against necrons ( 5 deathmark snipers, ten immortals and three hover bikes) was considerably harder. The necrons managed to wreck my transport in the first turn ( three shots, three hits, three glances). Forcing my marines to walk across the board and take some heavy casualties. In the end I managed to have my spawn and surviving marines whipe out the immortals in assault, only to die in a blaze of glory under the return fire of the deathmarks and bikes. 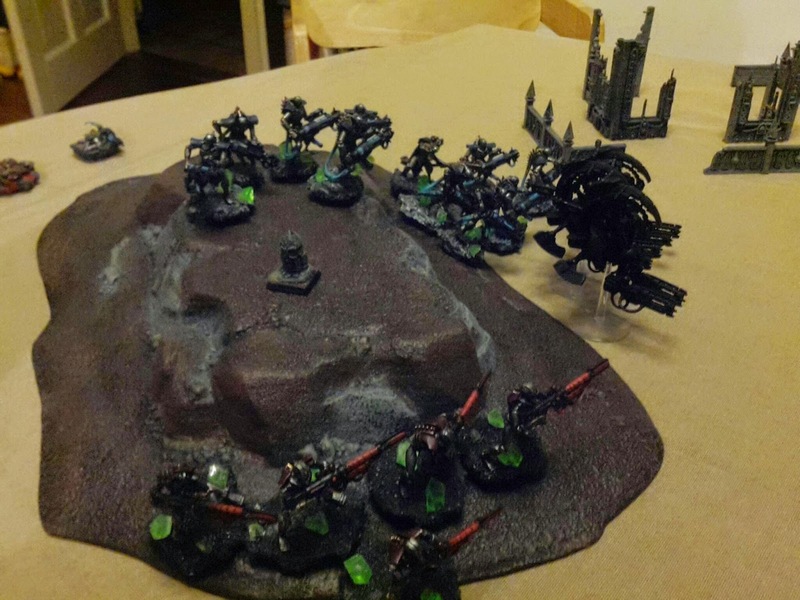 A sollid victory to the Necrons. My cultists just aren't cutting it in 400 point patrol lists. 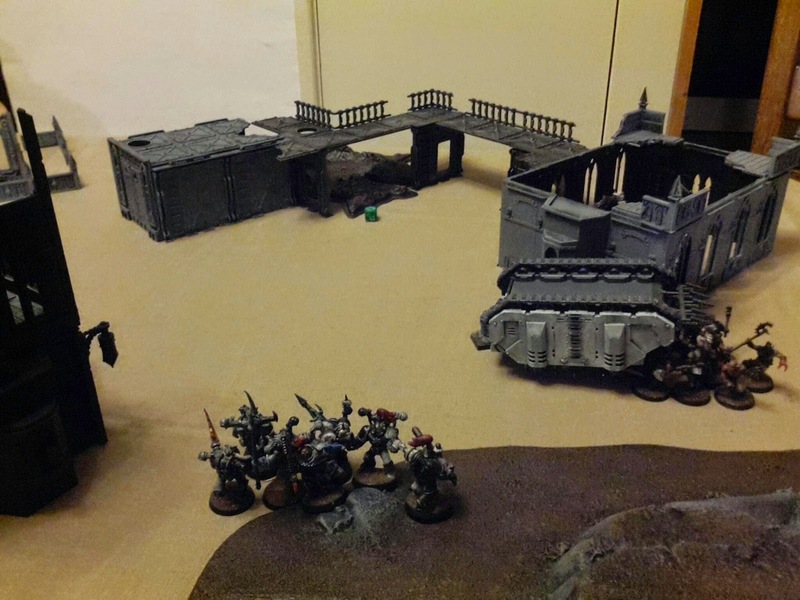 At the same time my marines lack the staying power to see a assault through. Maybe it' s my abbismal savingthrows, maybe my lack of experience with mobile assault oriented armies. Well, it's back to the drawingboard for me now. Nice to see your blog going again!